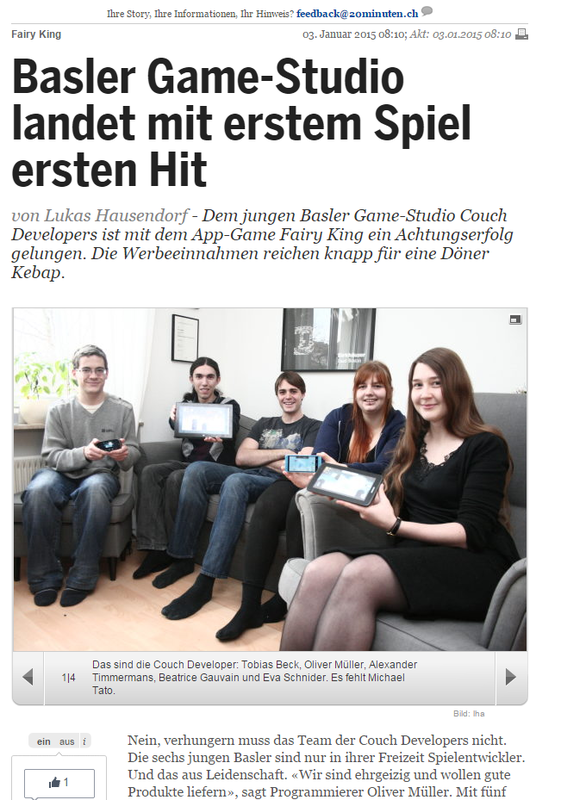 Couch Developers in telebasel Interview! 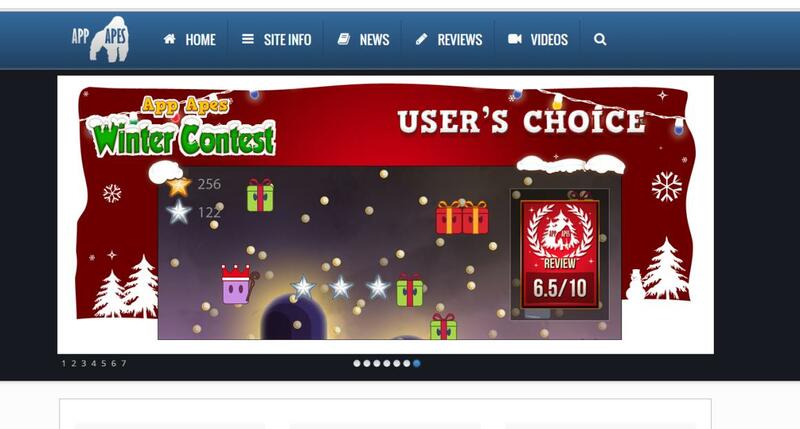 The video-tag is not supported by your web browser. 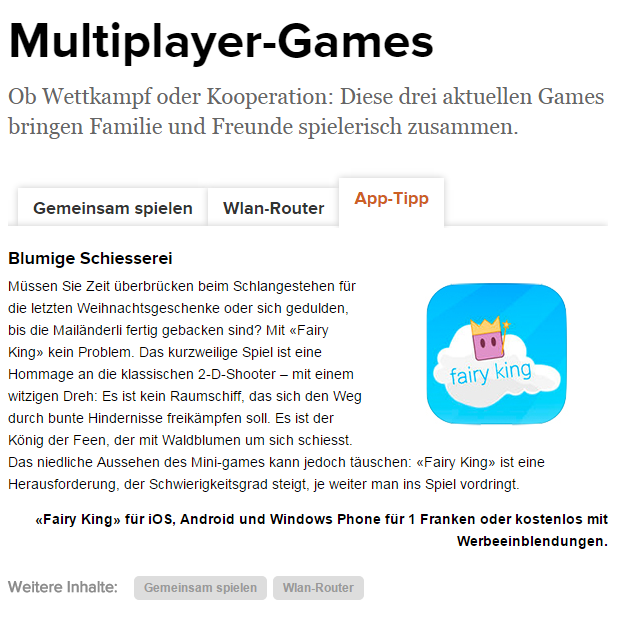 fairy king featured in "coop zeitung"
Thanks for the great article on combobreakers.